TheCrewStop, LLC was formed by competitive rowers and coaches who weren't satisfied with the status quo, and recognized the need for a better solution to protect the hands without compromising technique. After three years of development and field testing, the final design that incorporated the unique aspects of both sweep rowing and sculling was approved. 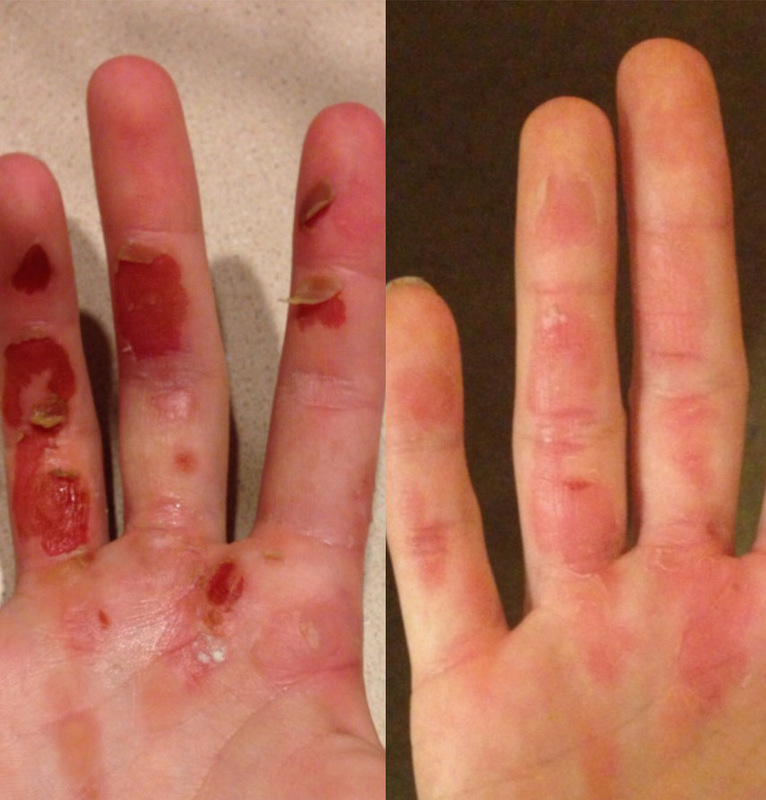 Here at TheCrewStop, we fully recognize the long-standing controversy about wearing gloves for rowing and the stigma against doing so, whether for sweep rowing or sculling. It is easy to understand why. No glove on the market was truly designed for our sport. When in pain, rowers will try anything to deal with an injured hand. 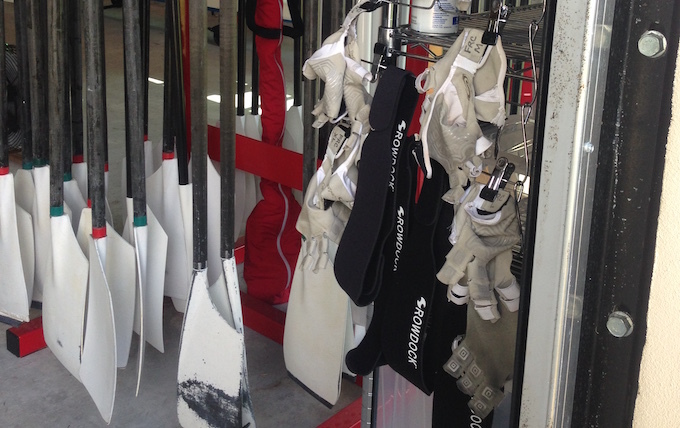 We have seen rowers wearing gloves designed for weight lifting, biking, golf, and even gardening(!)... the list goes on. None take into account the unique actions of the rower, especially the job of the drive and feathering hands in sweep rowing. And then there is tape. Athletic tape, foam tape, Bandaid™, and various other combinations and wrapping techniques for keeping tape in place are all poor substitutions for a much needed solution. Together with an Industrial Designer and a glove manufacturer, TheCrewStop began the design process. User requirements, user needs analysis, design concepts, prototypes, concept field-testing with rowers, refinement and more prototypes defined our methodology. 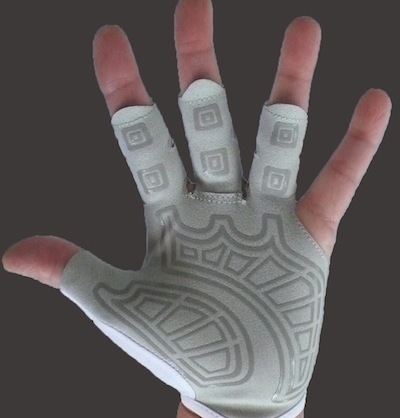 We selected a material that is extremely lightweight with a lateral stretch (across the palm) to allow for a tight fit when closing the Velcro tab on the back of the hand. There is no elasticity longitudinally to prevent bunching of the material. 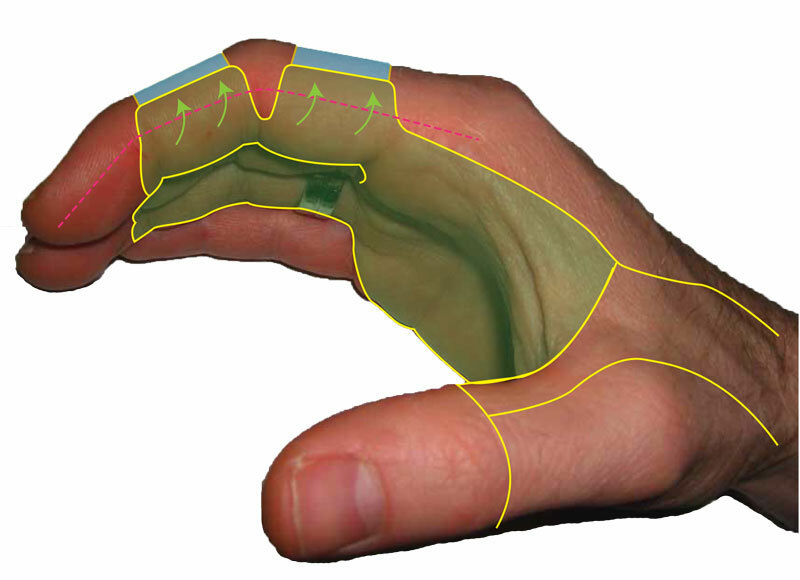 Feathering hands were treated with a silicone pattern to promote a positive grip where needed. The palm surface of the drive hand remains smooth to allow the handle to rotate freely. As an added benefit, the silicone grip prevents slipping when the oar handle gets wet. We deliberately left the fingertips open so as not to inhibit the feel of the oar and provide a minimal look to the gloves. If you've ever had blisters, you know how distracting they can be. 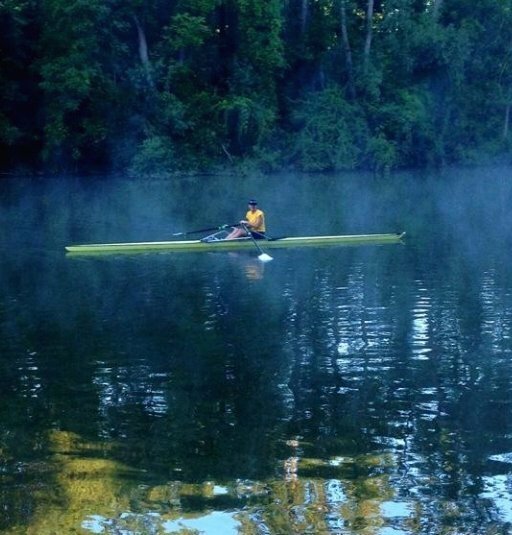 Psychologically, when you are focused on acute soreness, the quality of your rowing is diminished. The result is a compromise. Perfection can be elusive. No matter how well we think we row, there is always room for improvement. Why let a blister get in the way of that?